I support trade for a number of reasons, the largest being its enriching power for all parties involved. But there is another reason to support trade: it fosters peace. For decades, China and Taiwan exchanged only threats and supercharged rhetoric. But behind all that talk, a major trade relationship has quietly grown between the two. These are the opening lines from an article on WMUR.com, my local news station. For decades, China and Taiwan have been at each other’s throats, and the US’ alliance with the latter causing diplomatic issues with the former. But as their trade relationship has grown, so has diplomatic ties. In fact, the two nations’ leaders will meet this weekend, the first meeting since 1949. This is a huge step forward for world peace. 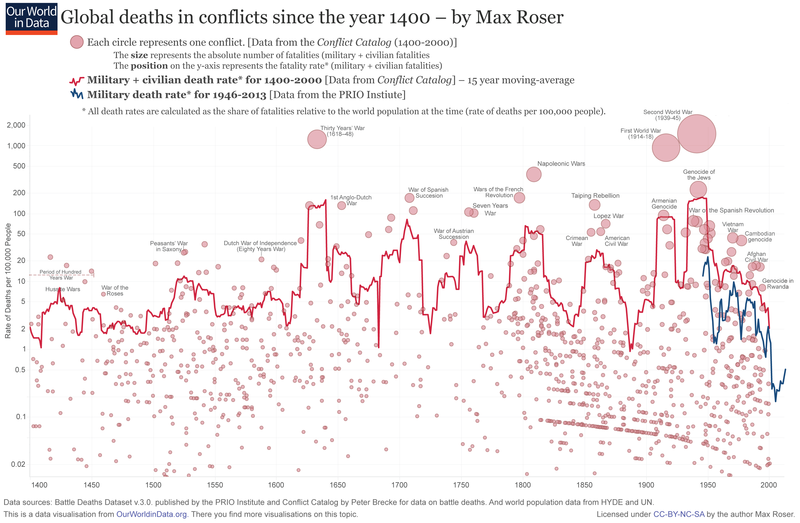 Over the last half-century or so, we have seen the world become a more peaceful place. While there are many factors to this, I argue a major one is the increased liberalization and globalization of trade. After all, going to war with someone you trade with is much more costly than going to war with an embargoed nation.